Find Your Last-Minute Holiday Gifts! My clients love when I curate their accessories and decor, finding just the right piece for every room in their homes. In fact, a good part of my job is spent shopping, which I love! And now you can find some of my best finds on my own online shop here! Opened just a few weeks ago, the shop includes accessories, pillows, tabletop, and of course fabulous holiday decor! One of the most popular things on the shop has been a collection of felted animals and figures - I love them so much that I wanted everyone to be able to have one (or more!). 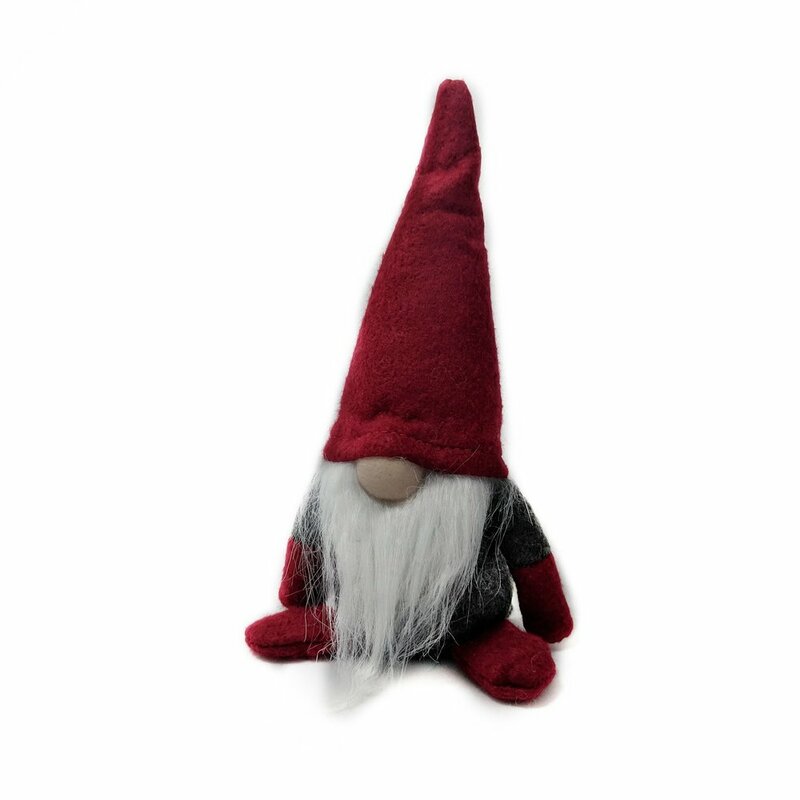 I’m especially fond of the little gnomes with their overgrown beards and huge hats! They make great last-minute gifts and stocking stuffers! I’m also asked all the time for recommendations on great home decor - so of course I included my favorite pillows, chambray table linens, and glass hurricanes. The shop is curated to showcase my love of colour, collections, and whimsy! Drop in to finish up your holiday shopping, and let me know which items are your faves! 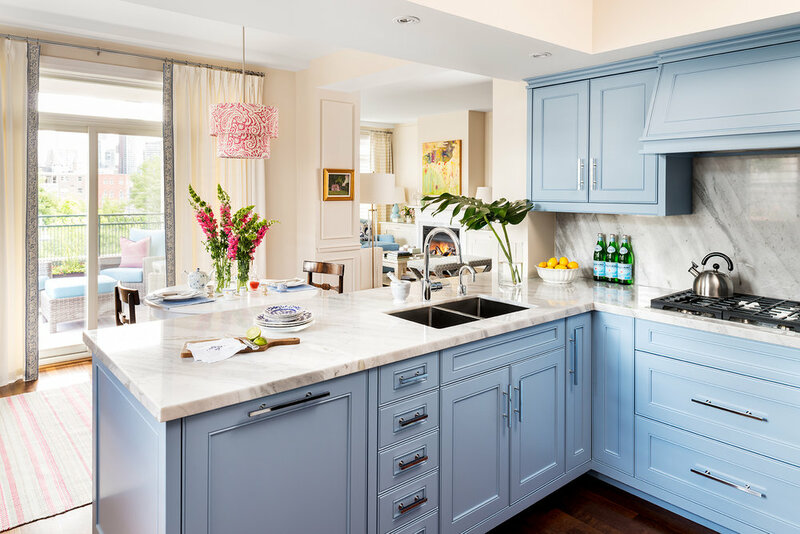 If you pay attention to trends in the home, you’ve probably noticed the movement away from all-white kitchens to more colour in the kitchen! I love colour, so this is a trend that I embrace completely! But I also understand that some people are nervous about using bright hues in their home, so here are steps to help you get into the colour groove! If you’re not sure about making a big commitment to colour, try adding just a touch of something bright, like these bold red stools I used in a condo kitchen. It’s a great pop of colour, but can easily be changed out as your taste changes! If you’re feeling a little bolder, start with a cream colour rather than white and complement it with lovely purpley shades! This creamy colour is warm and inviting, and much less stark than white. It’s the perfect palette for cooking up something delicious! If you’re ready to embrace the rainbow, it’s best to start with a colour you love. Blue is regularly rated as the world’s favourite colour, and for good reason. It’s a calming, soothing tone that has been proven to spark creativity! It’s easier to be surrounded by colour if it’s one that makes you happy, so keep that in mind as you choose your kitchen palette. So are YOU ready to embrace colour in the kitchen?! Tell me why (or why not) in the comments! When I was asked to design a vignette for Rooms with a View at Southport Congregational Church in Connecticut, I was thrilled! It’s a showcase for charity and for the interior designers who are invited to participate - and it isn’t as easy as it sounds. 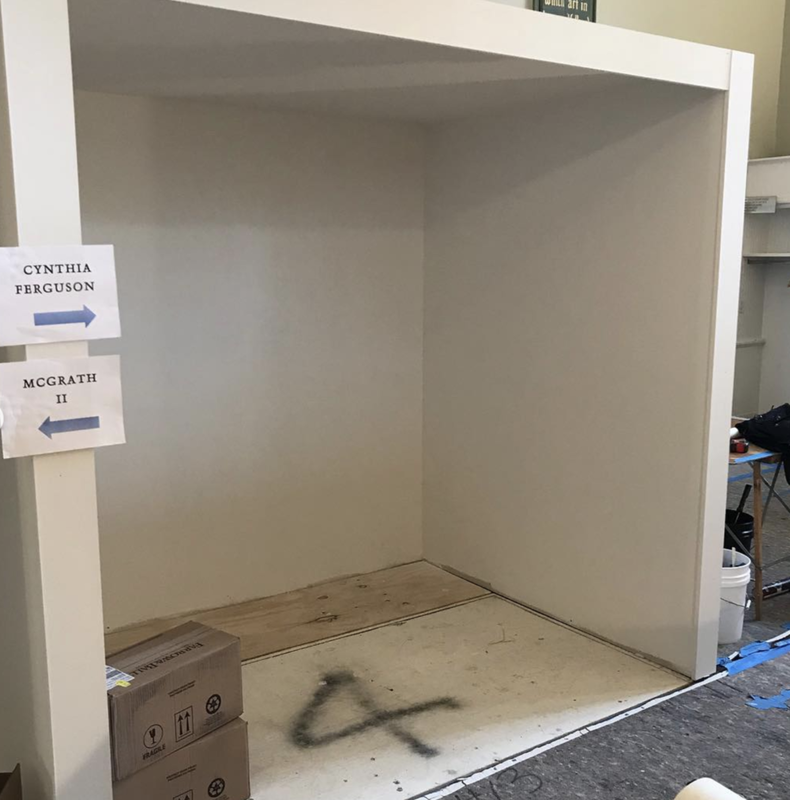 We each had a 6’ x 8’ room - a small box really - that we needed to transform into a WOW moment! I treated it like any room I design, and started with a sketch. I wanted a cozy breakfast room that would be perfect for gathering with family during the upcoming holidays! To create the coziness, I wanted to use warm colours and fabulous textures! As you can see above, we really did start with a box. That tiny-looking space needed to be transformed - and quickly - into a showstopper! The gorgeous Farrow & Ball colours were the first thing we put into our space - where I used a deep moody hue on the walls and a lovely blush-like colour on the ceiling! 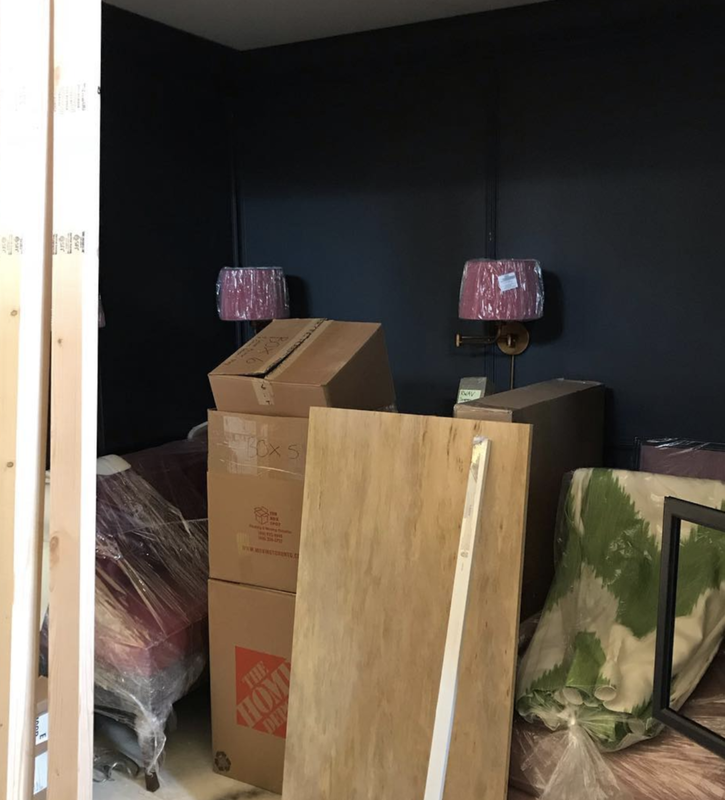 You can also see that the sconces are in place and the furniture has all been delivered at this point! Finally, the big reveal - and I couldn’t have been happier with how it turned out! The warm colours, fabulous fabrics, and layered accessories definitely created that cozy effect that I was going for! 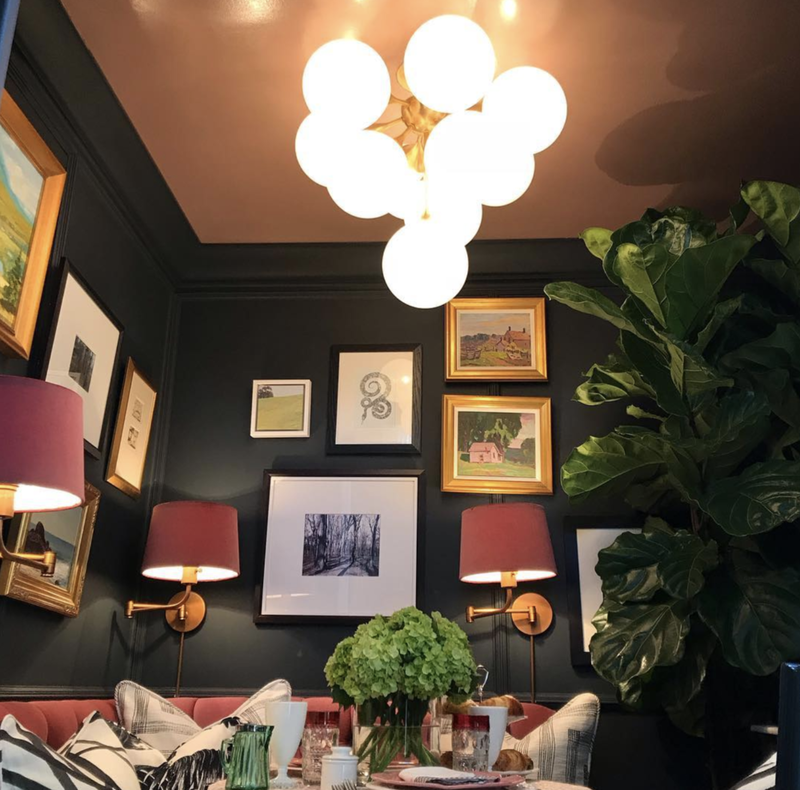 The glow in the room is enhanced by this gorgeous fixture from Circa Lighting and the light reflected off of that lacquered ceiling featuring a colour from Farrow & Ball that’s never been used in a showhouse before! I was lucky enough to travel to North Carolina as I was planning my vignette, visiting Replacements Ltd. to select the tabletop I wanted to use! You can see my final selections of stunning tableware from Replacements here on the breakfast table. I can’t tell you how much it means to have partners and sponsors for events like this! I also worked with Lee Jofa, Acquisitions, and Kravet to create this space. So what do you think about my cozy little breakfast nook and the design process? Let me know in the comments section! I have been traveling almost non-stop for weeks, and while I’m thrilled to be home this weekend, I also love staying in unique and gorgeous boutique hotels around the world! I get so much inspiration from the design of the lobby, the rooms, and even the outdoor areas! A colour combination like the purples and blues in the hotel above can spark a new idea for a client’s home, too! Kit Kemp is a designer who knows her way around patterns and bold colour, so when a client sent me the photo above of the Kemp-designed Firmdale Hotel as an inspiration shot for her home, I knew we were going to get along famously! 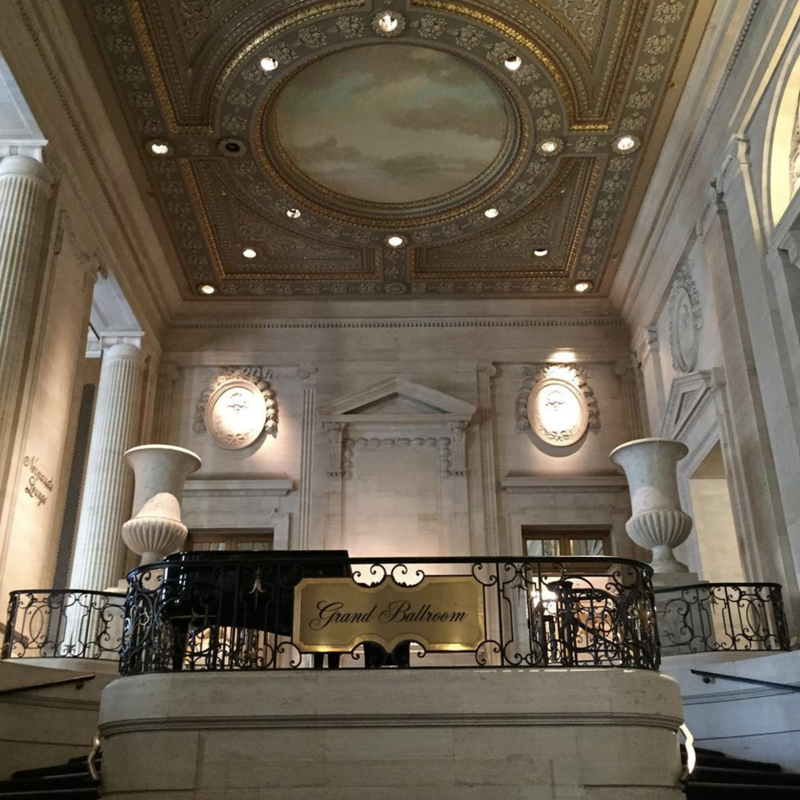 This incredible historic hotel in Chicago had me looking up - WAY up - for a gorgeous classic design. The timeless details here are endlessly fascinating to me! When I stayed at the Beverly Hills Hilton earlier this year, I was obsessed with the living garden wall in the Wilshire Garden! I want to create one like this for my clients - or maybe just for me! And I am DYING to create outdoor cabanas for a client’s pool area! There’s nothing chicer than a hidden spot with fabrics blowing in the breeze! Really, inspiration like this is one of the biggest reasons that I love to travel! What are some of your favorite destinations? Let me know!